That’s a countdown to possible news about Call of Duty: Modern Warfare 3. We’ll keep you posted. 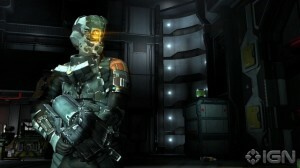 It’s a matter of days until Dead Space 2 DLC content is released. Keep March 2 in your addled brain as the fateful day when you’ll have to shell out 560 points to continue enjoying more from the Dead Space franchise. 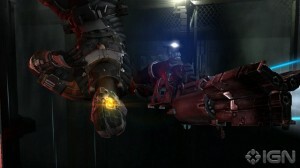 The pack is entitled Dead Space 2: Severed and offers an additional 2 single-player levels. You’re not Isaac anymore, you’re security officer Gabe Weller. 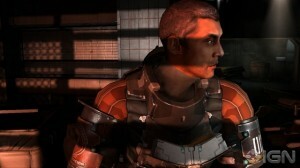 He’s from the prequel game, Dead Space: Extraction. He will come equipped with a one-of-a-kind security suit and an upgraded, more powerful Pulse Rifle that will help him unleash his own blood-curdling adventure across the Sprawl. Are you a filthy orc-racist? Well good news, you’re not alone. The folks over at Robot Entertainment (who gave us Age of Empires and Halo Wars) hate the filthy green buggers too, at least that’s what their latest title Orcs Must Die would have us believe. In the release, players will have the opportunity “to hack, launch, flatten, gibletize, and incinerate an endless army of filthy orcs and their vile allies”. There’s no confirmed release date, so we’re awaiting patiently Robot Entertainment. 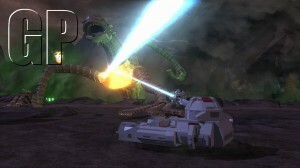 There’s been a few screenshots of the boss fights from the upcoming Lego Star Wars III: The Clone Wars and it looks really impressive. The Lego franchise, although always a little on the same-y side, never fails to make you smile at the faithfulness and cute rendering of your favourite characters. 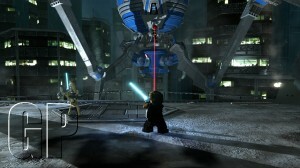 The game is released 25 March, and Pop Culture Monster for one can’t wait. 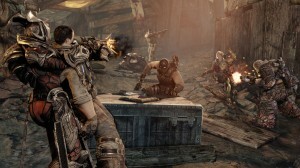 Gears of War 3 will mark the final installment in the current story arc in the franchise. 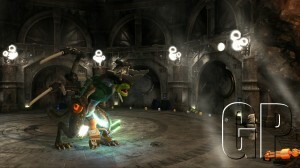 It will be released exclusively on the Xbox 360 in September. September 20 to be exact. So far, nothing suggests that there’s anything but improved graphics in the game, but it’s early days yet. Here’s a screenshot to whet your appetite. 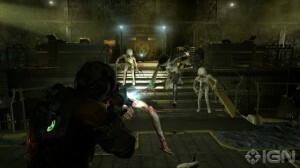 And finally, one of the creepiest games in history gets its third outing this year on May 24. Yes, it’s F.E.A.R 3 or F.E.3.R as we’ve seen it written. Check out a behind the scenes video from the creators that delves into the world of sound and level design among other things.